A great new members benefit in the form of comprehensive travel insurance is now available to all Skål members. Thanks to Derek Ketteridge of Tour Indemnity and a member of Skål International Brighton, Sussex & The Channel club, this special travel insurance policy for Skålleagues is at a great rate, and even better, the commission from the sales goes to Skål International. The cover, through Tour Indemnity/All Seasons Underwriting Agencies Ltd, comes in two parts. Part A is inclusive in the membership and would be paid to Tour Indemnity/ASUA for all members as a benefit. Part B is the optional plan – this is available to members, resident anywhere in the world, excluding (for the time being) the USA and Canada. Members can access this product on line via the Skål website and purchase it directly with payment by credit card. The rates shown for the optional policy (PART B) are inclusive of 10% commission to Skål International. 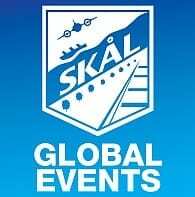 We have already had comments from Skål members that the rates available through this policy are extremely competitive and we urge all members to visit the link/website and take up this great offer – it is not only a great deal for members it is also a revenue generator for Skål International.